This great new machine offers high level convenience features in an economical model. You’ll find 50 decorative and utility stitches include 3 buttonholes. 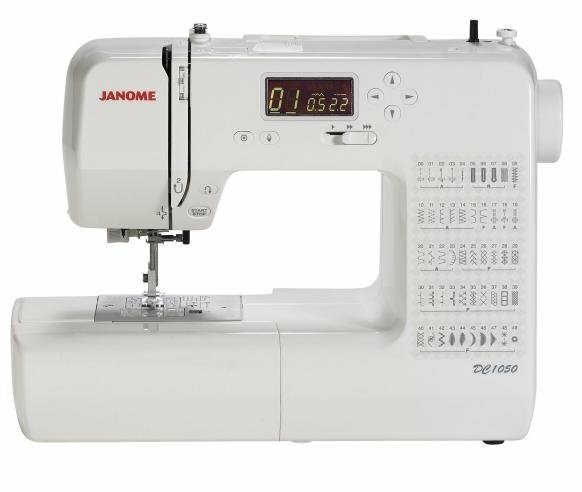 Easy convenience features include Speed Control Slider, Memorized Needle Up/Down, Locking Stitch Button, and a Start/Stop Button. You’ll also find innovative and convenient needle plate markings to help keep a perfect seam allowance, even when turning corners.